There’s an amazing amount of competition out there, which means all learning platform vendors have to be better at satisfying customers. But how do you provide superior customer service and show loyal brand advocates your appreciation? In this article, I’ll share ways that the marketing department can influence customer success. Apply for awards on their behalf. They usually don’t have the time or expertise to do it themselves, so this gesture is appreciated. A big side benefit of doing this is that you can get referenceable case studies, send out Press releases, and list the awards on your website to reinforce how successful your customers are. Just make sure that you don’t step on any toes by applying for awards without prior consent. Run it by your point of contact to get the go-ahead beforehand. The Net Provider Score (NPS) survey is the industry standard to measure customer satisfaction. 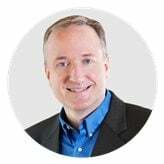 It’s very easy to do, quite brief, and may result in a serious wakeup call for your executive team; they see their NPS score and realize they’re failing in customer satisfaction. You can even start with brief polls on your site or social media page. This will also give you a better understanding of your product/customer service pain points so that you can focus on those areas in the NPS survey. These events tend to be expensive, but getting some of your customers together in a room can significantly increase goodwill and increase renewals. However, there are ways to host a customer appreciation event without breaking the bank. The secret is moving it to an online venue with the help of video conferencing software. Send out e-vites well in advance and get RSVPs. Don’t forget to give them a brief rundown of the agenda (for example, you’re hosting a VIP event that gives loyal customers the chance to share their experiences and get free insider secrets). You can even offer them a free upgrade or add-on at the end as a parting gift. They get value-added info, and you transform the crowd into happier customers. It’s impossible to get too much feedback from customers. They appreciate it and it will help you develop a deep understanding of how buyers think. This will make all your marketing better. There are a number of ways to tackle the feedback process. From sending surveys and hosting focus groups and one-on-one interviews to posting polls on your website. Whatever route you choose, follow the golden rule of customer service: respect their time. Keep it short and to-the-point so that you get the data you need without causing inconvenience. Good old customer appreciation gifts go a long way. In addition to the traditional gift basket and logo’s merchandise, free eBooks, upgrades, and even discounts show customers that you care and value their business. However, these freebies also help them to further their own success by getting smarter. As an example, you offer a downloadable guide to all customers who have referred at least one person or have been an active subscriber for over a year. This guide helps them improve the functionality of the LMS so that they’re able to maximize ROI and provide more effective online training courses. Thus, their company continues to thrive for years to come and expands its operations, which requires them to upgrade their SaaS monthly package to meet their evolving needs. And it all started with a free guide that offered them insights or disclosed a training gap they overlooked. SaaS or otherwise, with so many software releases, it’s a great idea to run a mini-webinar to introduce updates to your customers, and another chance to get some ‘face-to-face’ time with them. Take the opportunity to get to know your target market and their needs, as well as foster familiarity with your brand. The key is to avoid turning the event into a sales pitch. People are watching the webinar because they want to understand changes to the product or learn about new features; what they don’t want is a pushy presentation that is riddled with sales. Same for general information webinars. Give them information they can use and reveal the latest trends or technologies. For example, host a webinar that follows a countdown or award show format, instead of merely listing the top eLearning trends or valuable LMS features. Advisory panels and customer success teams are other great ways to show your appreciation and gather valuable feedback. 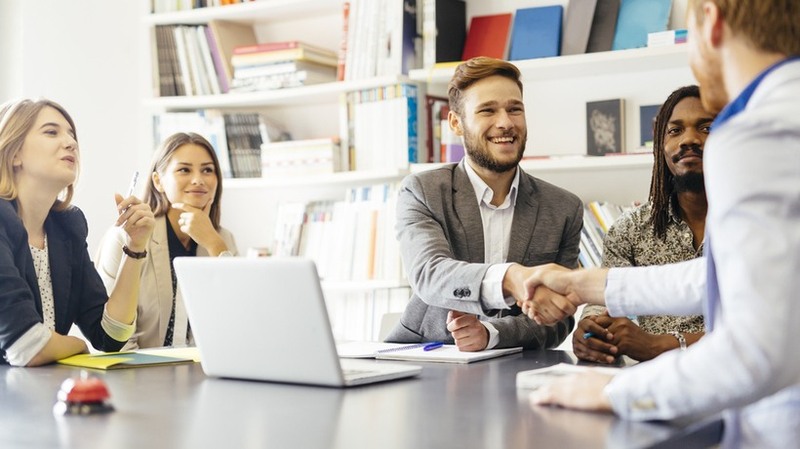 Get your customers actively involved in various stages of the R&D process to that they feel like they’re part of the team, which also maintains a sense of transparency and builds rapport. Just remember: Customer satisfaction is more important than great marketing, so prioritize accordingly. 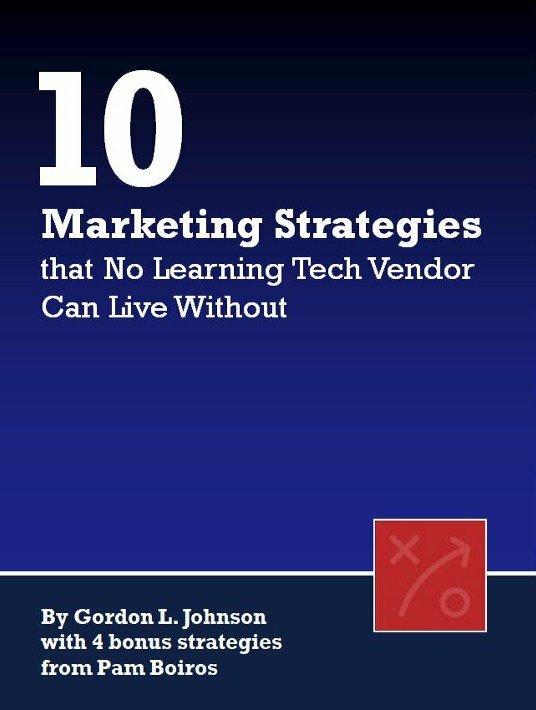 If you want to know more about how to thrive in the learning tech market, download the free eBook 10 Marketing Strategies That No Learning Tech Vendor Can Live Without.